This time Forbes gave a place for women with 11 percent of total list and among those powerful ladies, India bagged five women in the list, where Savithri Jindal is one among them. 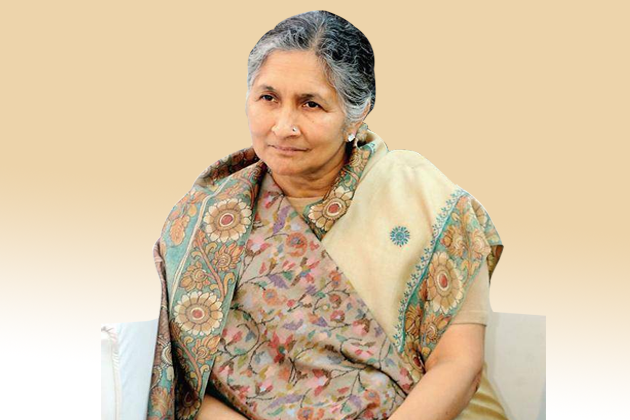 Savitri Devu Jindal Non-Executive chairperson for Jindal Steel & Power Limited. She was born and bought up to a conservative family in Tinsukia, Assam in 1950. She got married to O.P. Jindal, who is the founder of Jindal Group, a steel and power conglomerate. She became the chairperson after her husband, O.P Jindal died in a plane crash in the year 2005. Though she is not a self made billionaire, she tried to follow her husband’s path. Worth over $14.4 billion she is also the world’s 56th richest person. Mrs. Jindal serves as the chairperson for many areas like Nalwa Sponge Iron Ltd, Emeritus of Jindal Steel & Power Ltd, JSW Steel Ltd, Jindal stainless Limited, Jindal Industries Limited, Emiretus of Jindal Saw Ltd, and also for Rohit Tower Building Ltd, Sonabheel Tea Ltd. She is a great visionary, renowed industrialist and Jindal Group patriarch. Jindal Steels are the India’s third largest producers of steel in India. Savitri was a member of Haryana Vidhan Sabha (Legislative Assembly) where she served people and has done many useful things for people. But she recently lost election which was held in Haryana. In the previous cabinet, she worked as Minister of state for Revenue and Disaster management, Consolidation, Rehabilitation and Housing and also the Minister of State for Urban Local Bodies and Housing. To build such a big Zindal empire she worked very hardly. In this competitive world being women she has been a tough competition for many men. Savitri Zindal became a role model for every woman in this country. Though she is not much educated she maintained and quadrapled her zindal group as one of the top companies in India. She got succeeded in her business life and political life as well as in her personal life. Mrs. Zindal has 9 children and her family was listed by Forbes as the world’s 155th “richest person”, with a net worth of US$6.4 billion. Zindal family was ranked as 12th richest family in India. And among billionaire mothers listed in 2010, Jindal had the most Children. This entry was posted in S and tagged Jindal Steel & Power Limited, Jindal Steel & Power Limited biography, Savitri Jindal, Savitri Jindal biography. Bookmark the permalink.